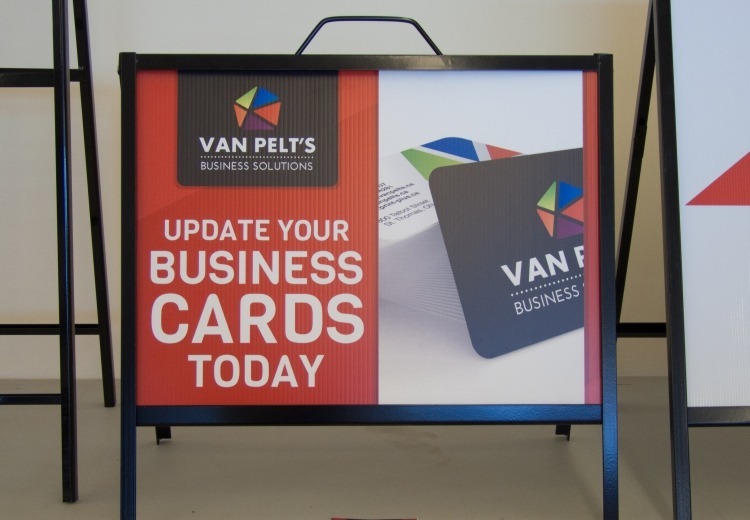 Do you want to attract attention to your business easily while also benefiting from multiple designs with convenience and portability? A-frames are a great and simple way to do just that. 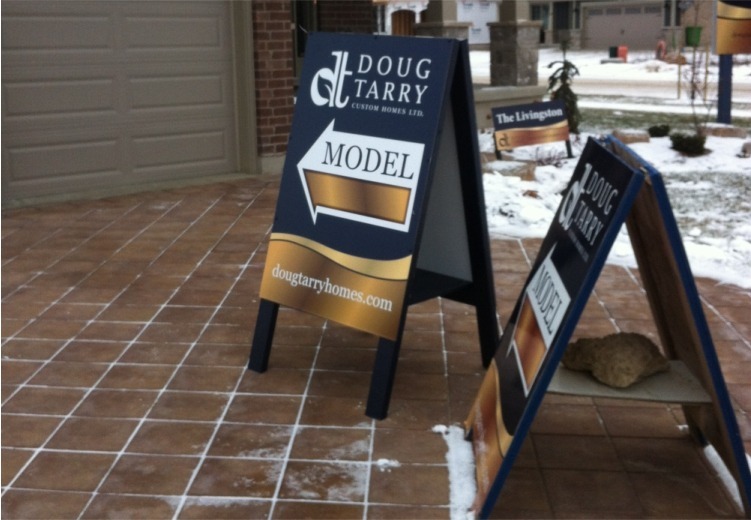 A-frames are perfect for many different occasions such as real estate brokers, businesses and restaurants. 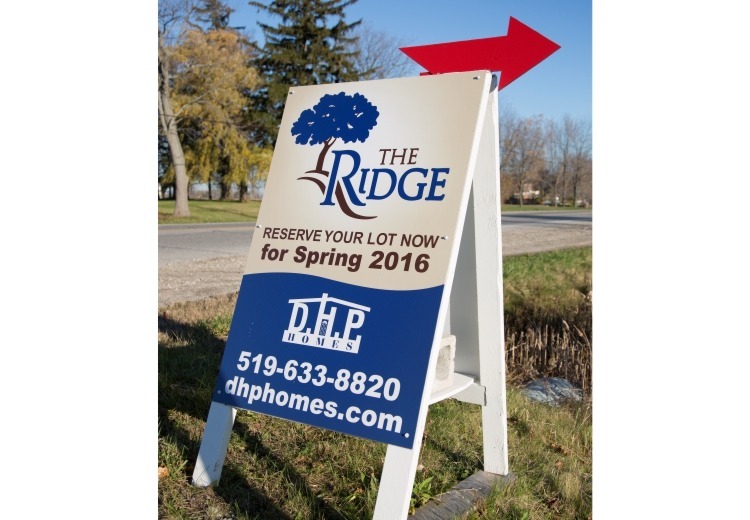 They take up a very small footprint, but still bring attention to the promotion or name you are trying to convey. 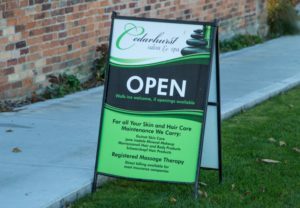 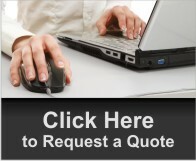 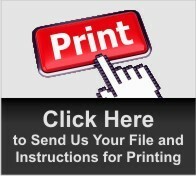 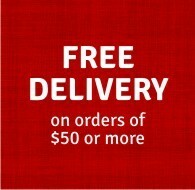 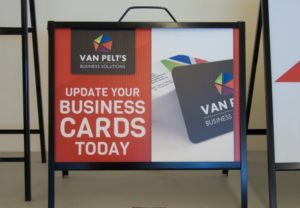 The ease of setting up, taking down, and storing these signs make it a superior and convenient option as well. 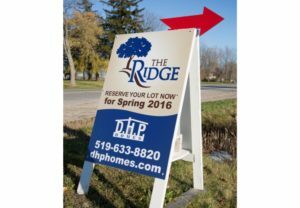 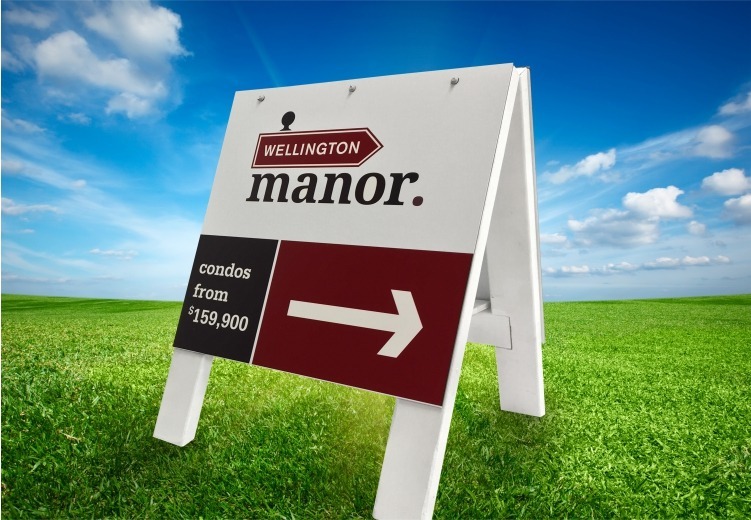 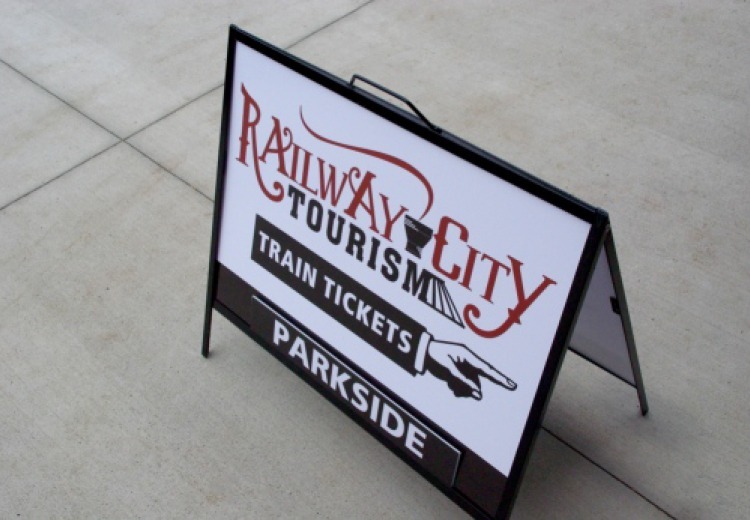 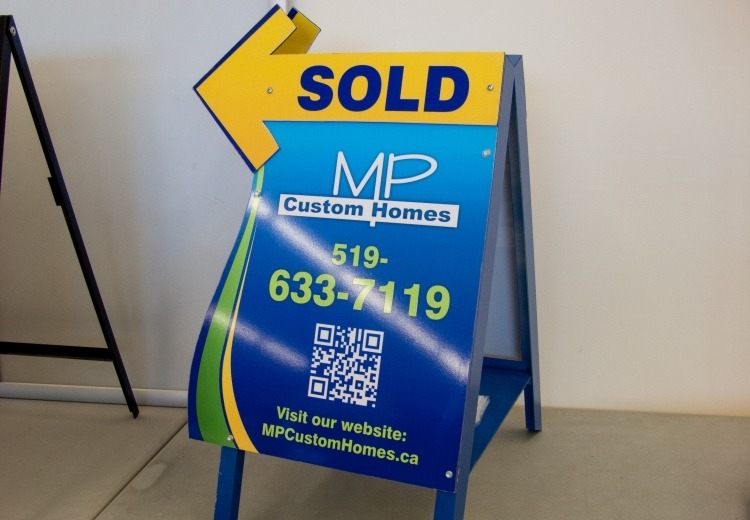 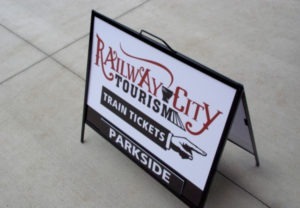 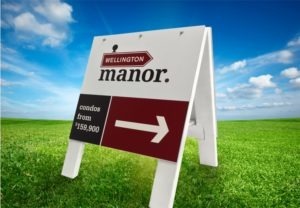 These signs offer the ability to advertise on both sides, and are also made with durable materials that make it a great option for interior or exterior advertising. Because it is a cost effective way of advertising, A-frames are also a investment if the information you are wanting to convey changes frequently. 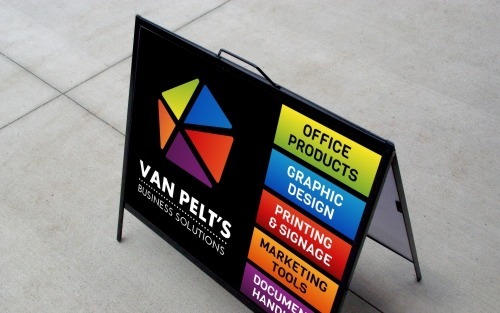 Let Van Pelt’s create custom graphics for your A-Frame sign and then set it up and start advertising your business in seconds!